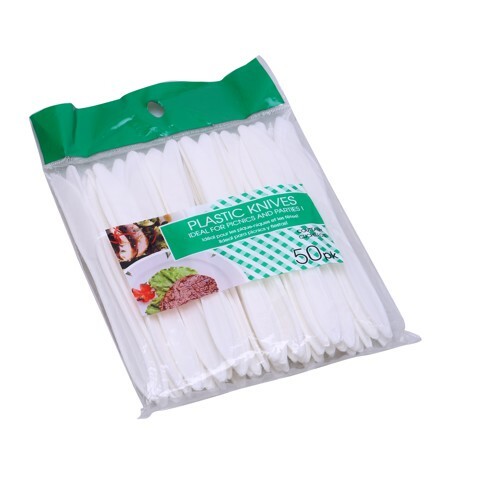 Disposable Plastic Knives 50Pk. 17cm. White. PP Plastic. 2.6G Packaging: Polybag.